If you permit, allow or host a party at your residence and there are people there who are under 21, and they possess or consume alcoholic beverages, and you know or should have known that they possess or consume alcoholic beverages, you are guilty of a Class A misdemeanor. If someone at that gathering injures or kills someone else, you are guilty of a Class 4 felony. This law does not apply if the underage person is consuming alcohol as a result of a religious observance (for example, you are Jewish and you consume wine as part of the blessing ushering in Shabbat). …the owner/occupier cannot say, “Thank God you are here—please remove these people from my property!” and avoid liability. The individual(s) who occupies the residence will not be guilty of violating the law if the owner/occupier requests assistance from the police department to remove the underage drinkers or to help terminate the gathering when the owner/occupier has been unable to prevent underage person from consuming alcohol. This request for police intervention will only serve as protection from prosecution IF it is made before any other complaints are made to the police. In other words, if the neighbor calls about a wild party, and the police show up, you as the owner/occupier cannot say, “Thank God you are here—please remove these people from my property!” and avoid liability. This law took effect 28 days ago. There have not been, to my knowledge, any arrests and certainly no prosecutions, under this new law. 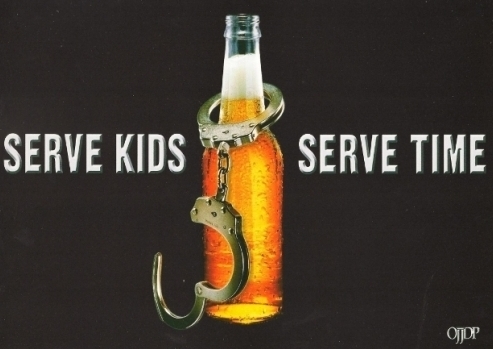 It was passed in response to a case where parents allowed their son to host a party where underage drinking occurred. One of the guests died in a car accident after leaving the party. Although the parents were found civilly liable, there was no criminal law on the books that would allow them to be criminally prosecuted. Now there is.